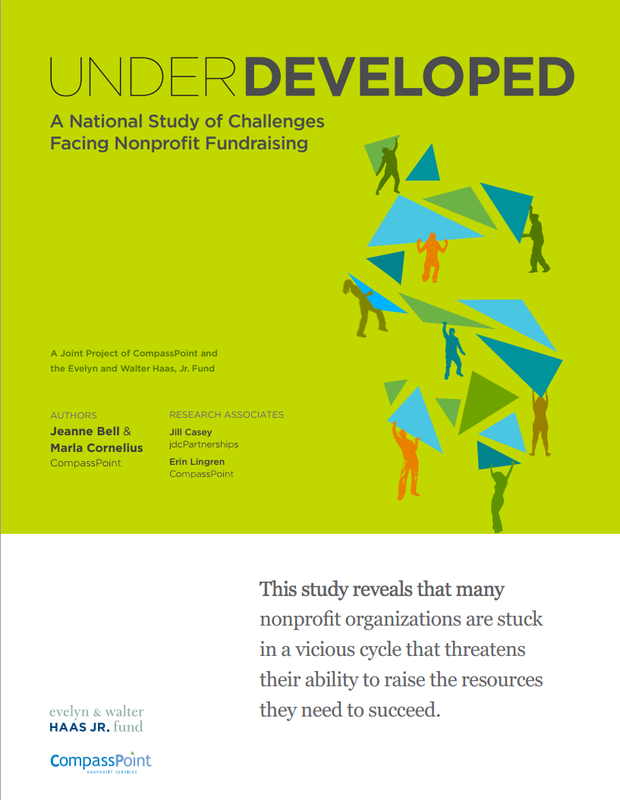 small organizations are less likely to have a fundraising plan or database of donors and their giving history. 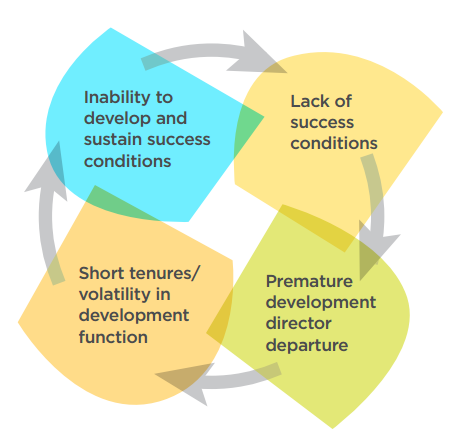 If you find yourself in the vicious cycle and want to break out, you’ll want to read this report. For specific advice on your situation, I suggest training from your local chapter of the Association of Fundraising Professionals or BoardSource, or developing a fundraising plan (and if you need help, talk to consultants with experience in this type of planning, like Anita Durel or Barry Goodinson in Maryland or Christopher Mekal in Massachusetts).